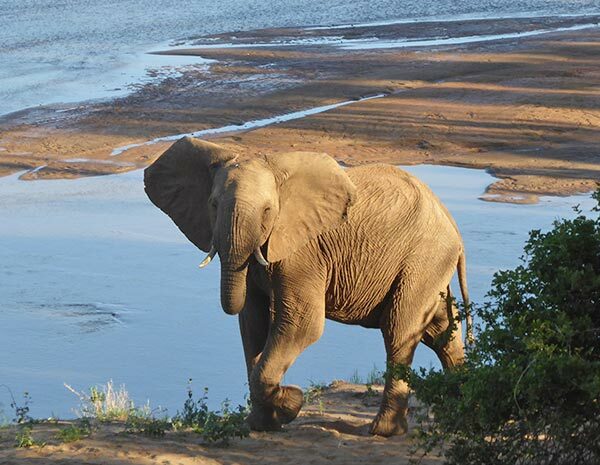 Mopaya is located on the very rich fauna diversity Balule “Big 5” Private Game Reserve part of the Kruger National Park in South Africa with a beautiful access to the magnificent Olifants River. From the open Lodge (no fences), enjoy the scenic view over the Bush where elephants, buffalos and lions are often seen roaming freely from the deck of the swimming pool and the Jacuzzi. 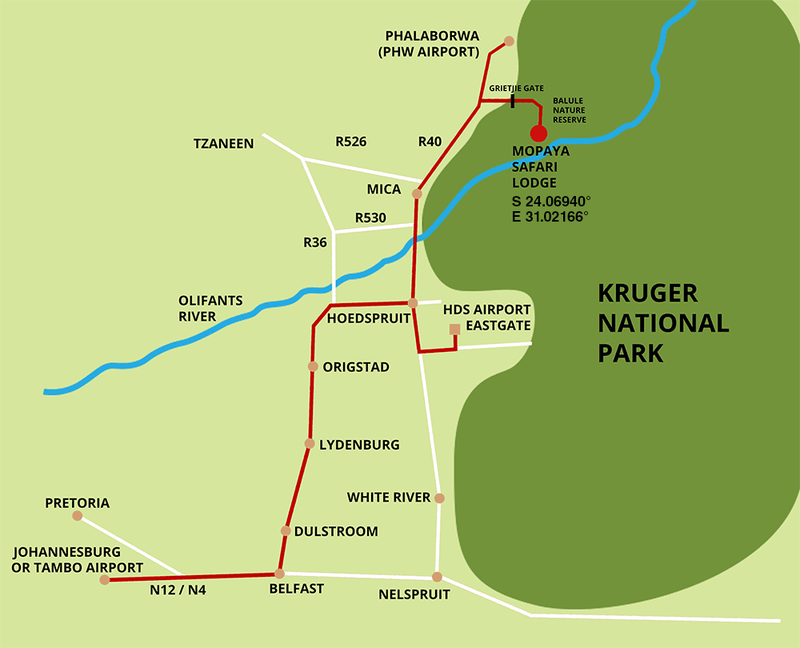 Due to the high diversity of this unique FULL BOARD Safari program, including a base of morning and evening “Big 5” Game Drives on the 11.000 Hectares traversing around the Lodge in Kruger, as in another selected Private Big 5 Game Reserve where chances to see rhinos and cheetahs are the best, on the Olifants River for a lovely private Boat Safari, at the private wildlife sanctuary of MOPAYA BUSH CAMP for a bushwalk and a unique game feeding drive, MOPAYA SAFARI LODGE is so far offering the best and richest Safari’s Program of any other Lodge in the area. The Full Board formula offers also 3 meals, snacks and all drinks except cocktails and wines. Reception, accommodation, catering and safaris of high quality, with professional and passionate field guides. Vegetarian menus on request. Children over 7 years are welcome. Free Wi-fi. per nightPer person per night sharing, full board, 3 meals, soft drinks, tea, coffee, juices, water, sodas, beers, ciders (cocktails, wines and Champagne in extras) and all safaris, minimum of 3 nights at the Lodge.